Thailand cannot be captured in one slogan but as a tourist destination it offers a diverse experience that will stay with you long after the trip itself ends. Thailand possesses a wealth of architecture, culture, cuisine and traditions that are distinctively Thai. 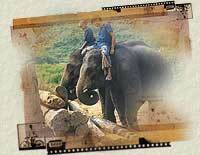 Thais are supremely adept at making visitors feel at home with their natural charm, hospitality and happy temperament. Malaysia is situated right in the heart of South East Asia and consists of Peninsular Malaysia, Sabah and Sarawak. Visitors to Malaysia will marvel at its natural beauty; from idyllic sandy beaches to lush tropical rainforests and from its majestic mountains to its enchanting islands. Kuala Lumpur, the capital of Malaysia is known as the Garden City of Lights and is one of the great cities in Asia. Singapore has developed a tiny nation of three million people with a rich & varied cultural background. Chinese, Malays, Indians & Europeans have all played a part in the island’s development, bringing diversity to every aspects of life. Day 1 Arrive at Bangkok Airport. Transfer to hotel in Bangkok. In the evening, proceed for Thai Dinner & Dance show. A fabulous Thai Dinner in an authentic style restaurant and a show of classical & folk dances. Transfer to hotel for overnight stay on bed and breakfast basis. Day 2 In the morning, proceed for a half day city & temple tour. Visit the most interesting temples, the Marble Temple, the Reclining Buddha and the Golden Buddha. Transfer to hotel in Bangkok for overnight stay on bed and breakfast basis. Day 3 Proceed for a full day Damnoen Saduak Floating Market Tour. A 110 kms drive to the most colorful Floating Market in the Kingdom. Enroute visit the giant pagoda at Nakorn Pathom, followed by a rice barge ride. Proceed to the Rose Garden for lunch and enjoy Thai sports & folk dancing show. Transfer to hotel in Bangkok for overnight stay on bed and breakfast basis. Day 4 Transfer to Bangkok airport for flight to Chiang Mai. Arrive at Chiang Mai airport and transfer via Chiang Rai to Chiang Saen at the Golden Triangle where the borders of Myanmar (Burma), Thailand and Laos meet. Boat trip on the Mekong river and visit of temples in Chiang Saen. Transfer to hotel in Chiang Saen for overnight stay on full board basis. Day 5 Proceed for a full day tour to Doi Mae Salong mountain to visit Akha, Yao and Muser hill tribe villages followed by a visit to Mae Sai, the northernmost Thai town on the Burmese border. Transfer to hotel in Chiang Rai for overnight stay on full board basis. Day 6 Five-hours boat trip on Kok River with stops at the hill tribe villages and at a cave. Continue via Fang & Chiang Dao to the Lodge for Barbeque dinner and enjoy the hill tribe dances. Overnight stay on full board basis. Day 7 Morning at leisure or take two hours Elephant Safari into the jungle near the Hill Tribe Lodge. Depart for Chiang Mai for tour of handicraft factories. Return to the hotel for Kantoke Dinner & Dance. Overnight stay at hotel in Chiang Mai on full board basis. Day 8 Proceed for a tour of temples in Chiang Mai followed by a visit to the Doi Suthep hilltop temple. Transfer to the airport for flight to Bangkok. Upon arrival, transfer to hotel for overnight stay on bed and breakfast basis. Day 9 Morning at leisure. In the afternoon, proceed for the Rice Barge Cruise. Enjoy snacks and drinks whilst cruising through the rural canals to an ancient & simple way of life, to the real Thailand. Transfer to hotel in Bangkok for overnight stay on bed and breakfast basis. Day 10 Transfer to Bangkok Airport for onward flight. Day 2 In the morning, proceed for a half-day city & temple tour. Visit the most interesting temples, the Marble Temple, the Reclining Buddha and the Golden Buddha. Transfer to hotel in Bangkok for overnight stay on bed and breakfast basis. Day 3 Proceed for a full day Damnoen Saduak Floating Market Tour. A 110 kms drive to the most colourful Floating Market in the Kingdom. Enroute visit the giant pagoda at Nakorn Pathom, followed by a rice barge ride. Proceed to the Rose Garden for lunch and show of Thai sports & folk dancing. Transfer to hotel in Bangkok for overnight stay on bed and breakfast basis. Day 4 Depart for Pattaya. Pattaya is famous for its beaches and sports facilities as well as its renowned night life. Upon arrival, transfer to hotel. Rest of the day at leisure. Overnight stay on bed and breakfast basis. Day 5 Proceed for Mini Siam Tour. Visit Pattaya’s newest miniature town, where many important objects and historical sites of Thailand have been carefully rebuilt. Overnight stay at hotel in Pattaya on bed and breakfast basis. Day 6 Depart for Bangkok. Upon arrival, transfer to hotel for overnight stay on bed and breakfast basis. Day 7 Transfer to Bangkok Airport for flight to Kuala Lumpur. Arrive Kuala Lumpur Airport. Transfer to hotel in Kuala Lumpur. In the afternoon, proceed for a city tour. Visit the oldest mosque, the Jamek Mosque, the War Memorial and Chinatown. Pass via the Moorish-styled Federal Courts, the Railway Station, a striking piece of Mohammedan architecture, the Tudor styled Cricket club and the King’s Palace. Proceed to the Handicraft center where jewellery making will be demonstrated. Transfer to hotel in Kuala Lumpur for overnight stay on bed and breakfast basis. Kuala Lumpur for overnight stay on bed and breakfast basis. Day 9 Full day at leisure. Overnight stay at hotel in Kuala Lumpur on bed and breakfast basis. Day 10 Transfer to Kuala Lumpur Airport for flight to Singapore. Upon arrival, transfer to hotel in Singapore for overnight stay on bed and breakfast basis. Day 11 Proceed for Sentosa Underwater World Tour. Get away from the hustle & bustle of the city to Sentosa, the resort island of peace & tranquility. Begin with a cable car ride to the island; visit the Images of Singapore which houses the Pioneers of Singapore. Thereafter, proceed for a monorail ride to the Underwater World. This is Asia’s largest most innovative tropical oceanarium, which is a home to over 2300 marine species. Transfer to hotel in Singapore for overnight stay on bed and breakfast basis. Day 12 Proceed for a half-day Singapore city tour. An orientation tour of the city which begins with a stop at the “colonial heart” for a view of the Padang, the Cricket Club, the Parliament House, the Supreme Court and the City Hall. Enroute to Mount Faber for a panoramic view of the city, the coach will pass via Chinatown. This is followed by a visit to a local handicraft centre before arriving at the National Orchid Garden located within the beautiful Botanic Gardens. Finally, stop at Little India, where jasmine, spices can be bought. Afternoon is at leisure. In the evening enjoy the Night Safari Tour. Discover the beautiful and unusual wildlife in their natural jungle setting. On arrival, a team ride will familiarize you with the lush environment. Stroll under the magic subtle lighting, highly advanced and specially created for the Night Safari, which gives a close acquaintance with the wildlife. Transfer to hotel in Singapore for overnight stay on bed and breakfast basis. Day 13 Day at leisure. Overnight stay at hotel in Singapore on bed and breakfast basis. Day 14 Transfer to Singapore Airport for onward flight. Day 1 – Arrive Hanoi / Noi Bai International Airport and transfer to hotel. After dinner, attend a unique performance of traditional Vietnamese water puppetry. Day 2 – After breakfast, proceed for a full day city tour visiting Ho Chi Minh Mausoleum, Ho Chi Minh’s former residence, one pillar pagoda and the Temple of Literature, built in the 11th century as Vietnam’s first university. After lunch at a local restaurant, visit the museum of Ethnology, Hoan Kiem Lake with Ngoc Son Temple and explore old Quarter during a 1 hour cyclo ride. Dinner and overnight stay at hotel. Day 3 – Morning at leisure. Afternoon transfer to Hanoi domestic airport for flight to Hue, the former Royal City of the 13 ruling Nguyen dynasties. After lunch at a local restaurant visit the Imperial Citadel & Tu Duc Tomb. Dinner and overnight stay at hotel. Day 4 – After breakfast, take a boat trip on the Perfume River to visit Thien Mu Pagoda and then depart for Danang. The scenic 4-hour drive via Hai Van Pass offers spectacular views of mountains, the sea, idyllic beaches and villages. Visit Cham museum on the way. After lunch at a local restaurant, continue further south to the charming historic town of Hoi An. Discover the town on foot and visit some of the historic merchant and community houses, places of worship and famous bridges. Dinner and overnight stay at hotel. Day 5 – After breakfast, transfer to the train station of Danang for day train Danang – Nha Trang. Upon arrival, transfer to hotel. Dinner and overnight stay at hotel. Day 6 – After breakfast drive to Po Nagar Cham Tower, a sacred Hindu site dating back to the 2nd Century AD. 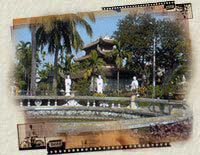 The town is still used as a place of pilgrimage for the Cham and Vietnamese Buddhists. Drive to Cau Da Pier and take a boat cruise to the offshore islands and a fishing village. Lunch at a local restaurant. Afternoon at leisure. Dinner and overnight stay at hotel. Day 7 – After breakfast, transfer to airport for flight to Ho Chi Minh City. Upon arrival, transfer to hotel. 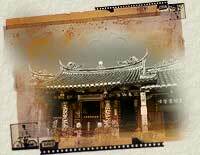 After lunch, proceed for a city tour visiting China Town, Thien Hau Pagoda, War museum and former Presidential Palace. Dinner & overnight stay at hotel. Day 8 – After breakfast, drive to My Tho and visit Vinh Trang Pagoda. My Tho is a prosperous town of 170000 inhabitants in the Mekong Delta. It is famous for its extensive orchards and immense rice fields. Enjoy a boat ride on the Mekong River and visit an orchard on an island. Lunch at local restaurant. Drive back to Ho Chi Minh City. Dinner and overnight stay at hotel. Day 9 – Transfer to Ho Chi Minh City / Tan Son Nhat International Airport for onward journey. Day 1 – Arrive Yangon International Airport. Transfer to hotel. Afternoon proceed for a city tour of Yangon. The visits include the old style city center, the gilded Sule Pagoda, Bogyoke market, Chauk Htat GYI, Karaweik Hall royal floating barge and Shwedagon, one of the world’s most spectacular religious monuments. Day 2 – Full Day excursion out of Yangon to Bago. Stop at a handicraft village that produces woven bamboo wares. 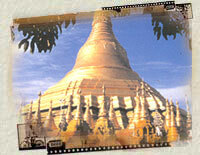 In Bago sightseeing includes the Shwemawdaw Pagoda, Shwethalyaung (55metre reclining Buddha). Return to Yangon through the rural landscape of paddy fields and small villages. En route visit Kyaik Pun Pagoda (famous for its four giant Buddha figures), Htauk Kyan. Overnight stay in Yangon. Day 3 - After breakfast transfer to Yangon Airport for flight to Bagan. 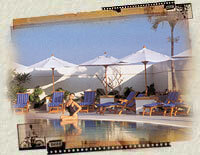 Upon arrival, transfer to the hotel and proceed for a city tour. Visit the local market, pagodas and temples and temple with exquisite murals of Jataka scenes. After lunch visit lacquer craftsman’s workshop in Myinkaba village, the Manuha temple, Nanbaya temple, Myingaba Gu Byaukgyi temple (famous for its ancient mural paintings) and the archaeological museum. In the evening observe a sunset in the vicinity of Bagan’s ancient monuments, followed by dinner at a riverside restaurant and overnight in Bagan. Day 4 – After breakfast transfer to Bagan Airport for flight to Mandalay. Upon arrival, proceed to Amarapura. Visit Mahagandayon (a famous Buddhist monastery, where more than a thousand monks live and study), the 150-year-old U Bein Bridge & Bagaya Monastery (which houses a superb collection of Buddha statues) and a traditional hand-woven silk workshop. After lunch, proceed on a tour of Mandalay, Mahamuni Pagoda, the Golden Palace Monastery and Kuthodaw Pagoda (known as the world’s largest book), visit the jetty to observe daily life along the river and to a craftman’s workshop to see Kalaga tapestries being created. Watch the sunset from Mandalay Hill, followed by dinner at a local restaurant & overnight in Mandalay. Day 5 – After breakfast, transfer to Mandalay Airport for domestic flight to Heho. Upon arrival, proceed by road to Inle Lake. An excursion by boat on Inle Lake will include seeing the famous leg rowers, typical floating gardens, and local methods of fishing & village life. Lunch at a local restaurant on the lake. Afternoon visits Phaungdow OO Pagoda, the weaving village of Inpawkhon and other sights. Dinner and overnight on the lake. Day 6 – After breakfast visit a marketplace, a cigar making factory and a wish-fulfilling pagoda. Continue for an excursion by road to the small town of Pindaya to see a scenic lake and Pindaya Caves. Continue to the hill station of Kalaw for dinner and overnight. Day 7 – After breakfast, time to explore Kalaw a charming hill station that is a marketing center for hill-tribe folk from surrounding regions. Transfer to Heho airport for return flight to Yangon. Upon arrival, transfer to hotel for overnight stay. Day 8 –Transfer to the airport for onward flight.